It's no secret around here that I enjoy a glass (or two or...) of wine. I'm part of a wine club with a group of girlfriends, and it's a Friday night I look forward to all month. Also, my blues are always quickly cured with a bottle of red and Brian's famous stromboli or a chilled white at our favorite BYOB Thai spot. And then there's wine in the summertime! Just the image of chilled rose and a lobster roll on a patio is making me giddy right now. One of the things I like most about it (wine, that is) is that it's perfect for celebrating most any occasion. Whether it's a birthday, anniversary or just another episode of This Is Us, uncorking a bottle is always a delight. So, if you're looking for a Valentine's Day gift for just about anyone (over 21, that is), Winc is a great place to go. 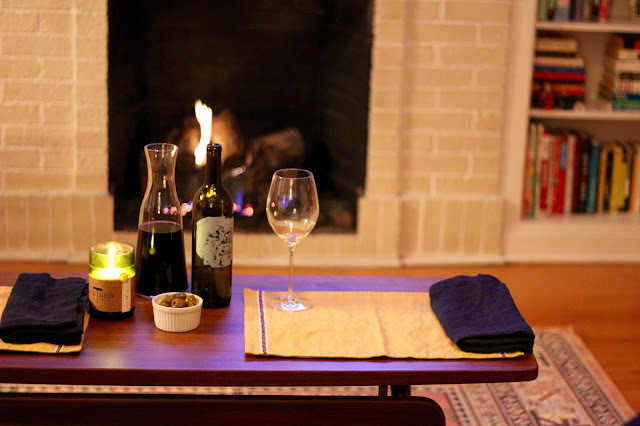 Through Winc, you get a variety of wines customized to your palate. You take a simple six-question survey so the Winc wine masters can get a sense of your taste, then you receive recommendations of four bottles for your first box. From there, you can choose to continue receiving four bottles a month or can skip any month without being charged. 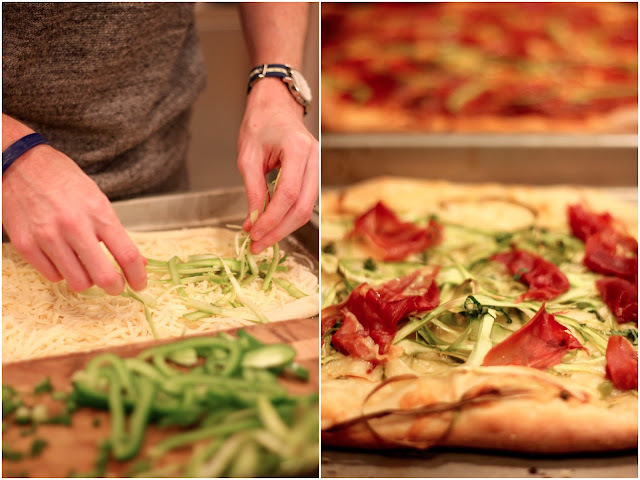 A few weeks ago we tested out the service and indulged in a cozy tasting at home with homemade pizza (I love this shaved asparagus pizza sooooo much). Wine shops, and even grocery stores, can be overwhelming. So many bottles, so many pretty labels, but too many decisions. It was nice to get a big case of goodies just plopped onto our doorstep. 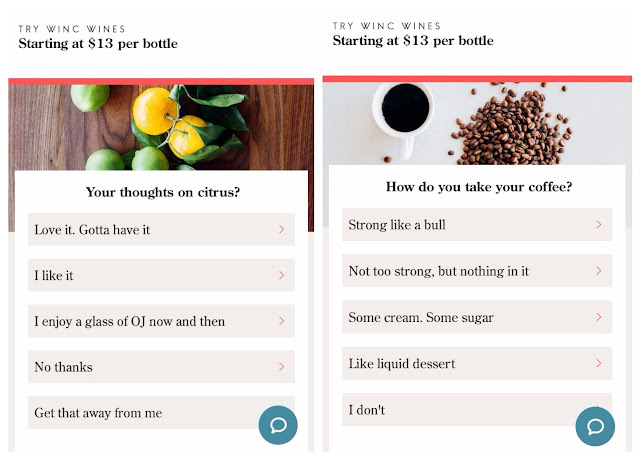 I took the quiz on our behalf and every bottle we've tried has been spot on to my taste (we ordered the first four that were recommended), but I like that you can make your own selections from the site's ever-changing assortment should you wish. 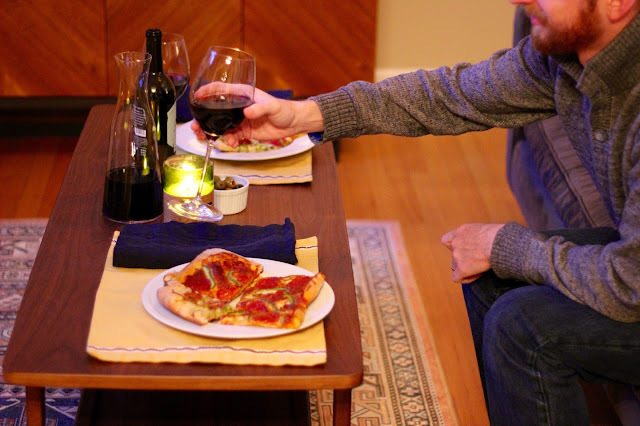 To help you learn more about your wines, each shipment includes a description of each wine, what makes it special, what makes it taste the way it does, serving instructions, and a chef-created recipe to pair perfectly with the wine. 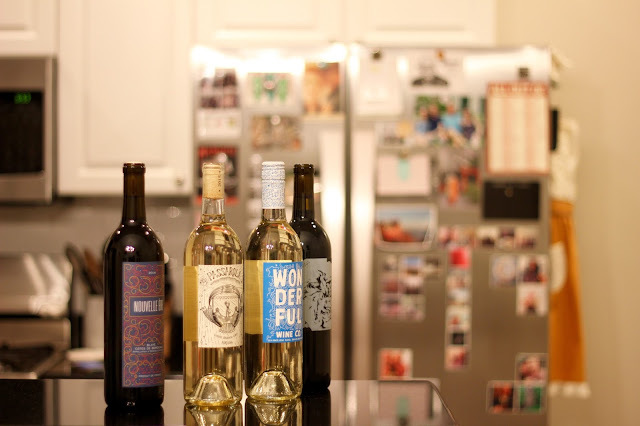 Another perk is that Winc works directly with wine makers. There are no middlemen, which means you get better wine for less. I've been loyal to cheap (very, very cheap) wines for years now, but as my palate grows but budget doesn't, I've been purchasing mediocre, slightly more expensive, not all that better tasting, bottles. The wines we received from Winc were decently priced (all are discounted) and some of our new favorites (the Wonderful white blend rocks). 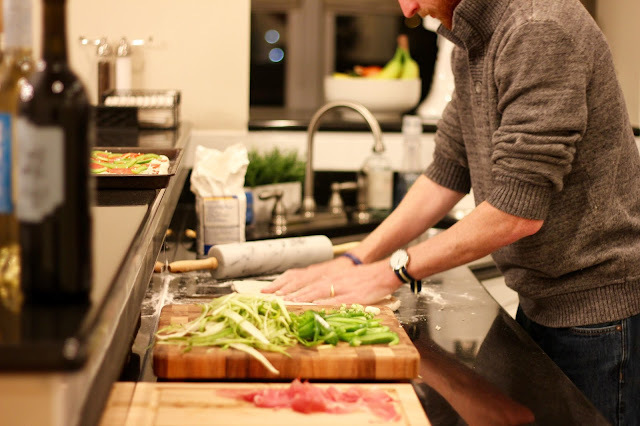 Another bonus is that Winc supports growers and winemakers that practice sustainable farming and wine making. Whenever possible they opt for vegan, sustainably farmed organically grown grapes and minimal intervention in production. If you're stumped for V-Day next week, giving the gift of a subscription is great because it truly is a gift that keeps on giving (Brian got this subscription service as a Christmas gift, and we're both so excited to see what'll be in the mail each month). 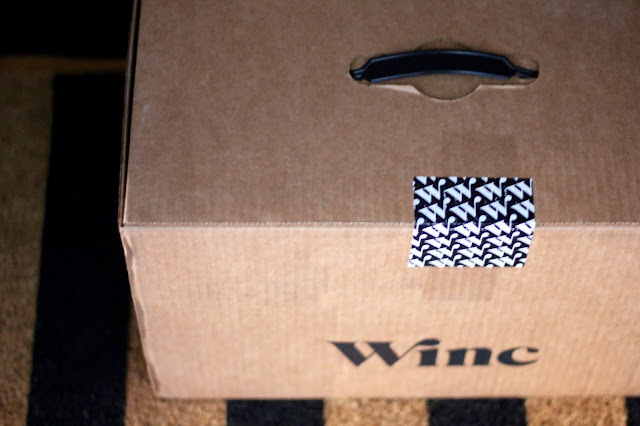 Every month your giftee gets a reminder that you care, and with Winc, they're receiving something they can enjoy with others. P.S. 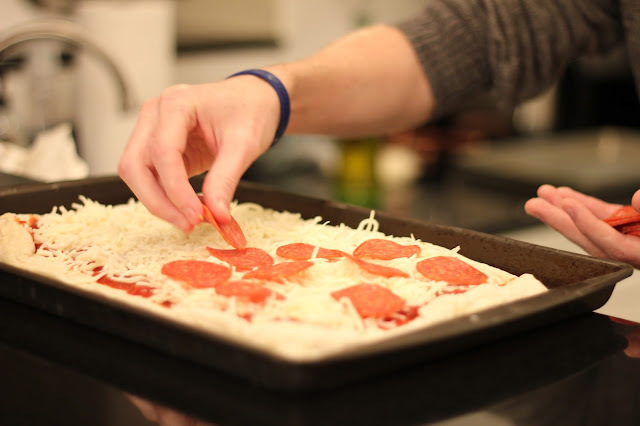 Use this link to get $22 off your first order! Enter code "makethemost" at checkout (case sensitive!). This place is a gem in this wasteland of small bars. Came to Seattle venues here on a Saturday night around 9:30, not too crowded at that time. Ordered 2 beers and fries and the total was around $16.